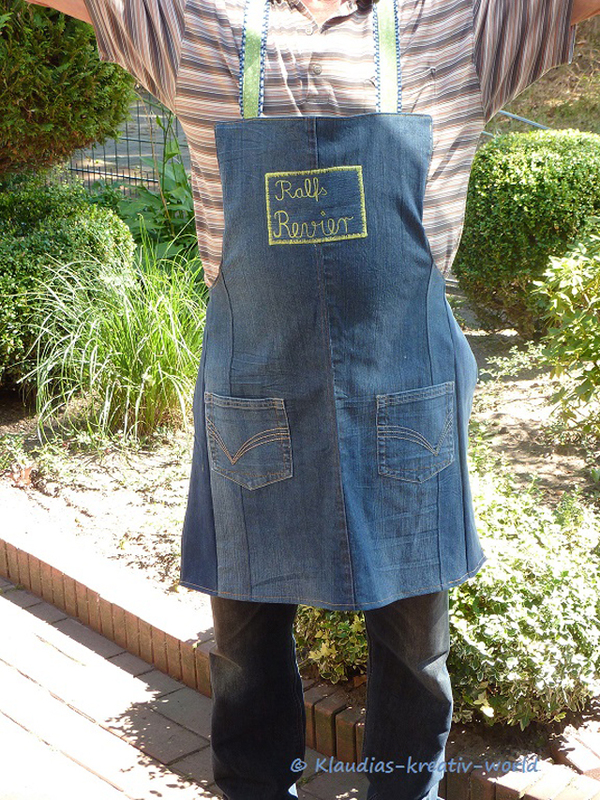 Klaudia, from Klaudia's Kreativ World, whipped up her denim jeans apron as a gift for a man. I find it much harder to think of things to sew for men. Now I have another gift idea for the males in my life. Thanks, Klaudia!